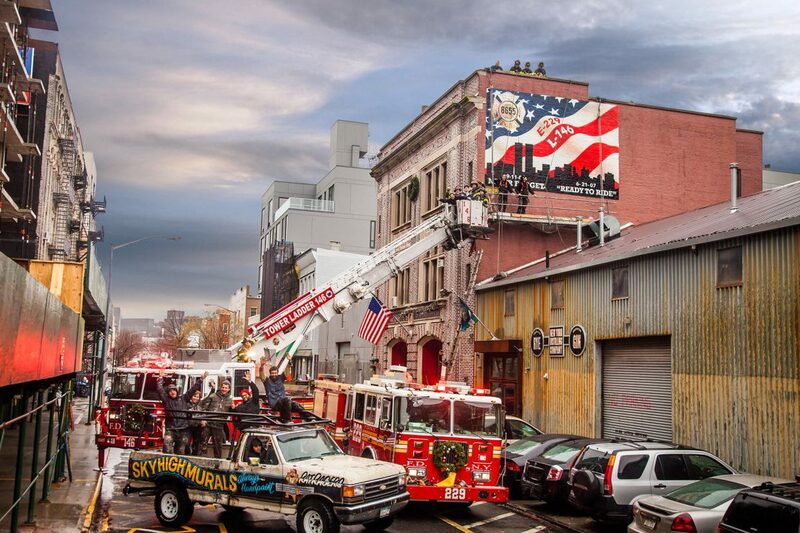 Engine Company 229 and Ladder Company 146 came together on Richardson Street in 1916 after the newly built Williamsburg Bridge caused a population boom in the area. The two companies now serve our still-booming neighborhood at the intersection of Williamsburg and Greenpoint. 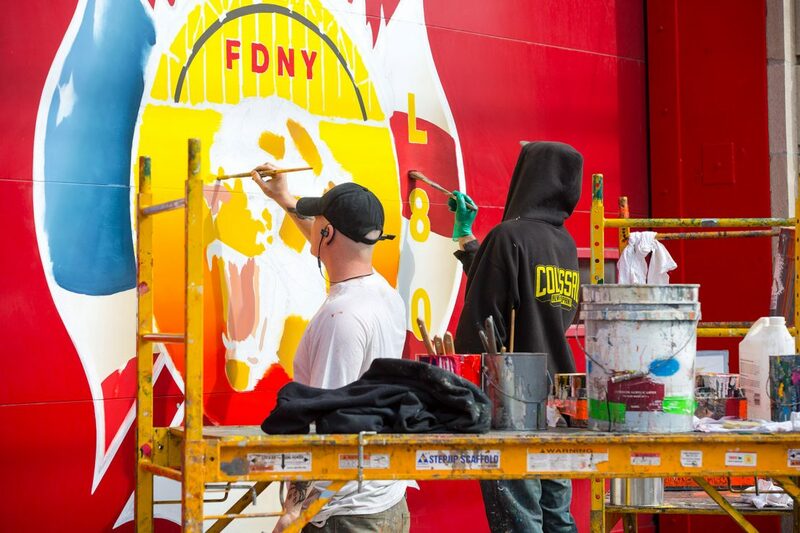 Colossal has painted two murals for their firehouse: one that memorializes the men and women who gave their lives in 9/11, as well as Daniel F. Pujdak, a member of L-146; and one that commemorates 100 years of service. Jimmy Martinez retired in 2015 after dedicating 26 years of his life to the FDNY. As a retirement gift to his Staten Island firehouse, home to Engine Company 157 and Ladder Company 80, the 9/11 first responder wanted to paint his company patch on the apparatus doors. He reached out to Colossal and was amazed to see his design brought to life.